Before he was the Oscar-nominated star of "A Star is Born," Bradley Cooper starred in a failed sitcom called "Kitchen Confidential," based on the bestselling nonfiction book by the late Anthony Bourdain. 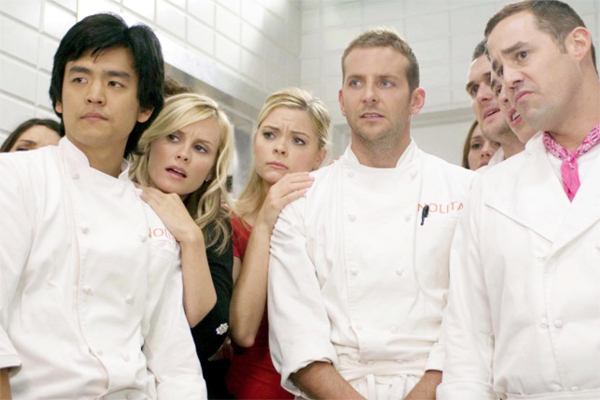 But even though "Kitchen Confidential" had an amazing cast - including John Cho, Frank Langella, Jamie King, John Francis Daley, Bonnie Somerville and Sam Pancake - it was canceled by Fox after only four episodes. Was "Kitchen Confidential" really... Canceled Too Soon? Film critics William Bibbiani explore what worked about this series, what feels hopelessly mired in the mid-2000s, and what makes us cringe today, in the latest episode of the podcast!